Many picturesque properties do not disappoint. From irrigated pastures and tranquil pond to the well appointed barn with covered parking, paddocks & stalls. Beautiful fenced yard complete with pool, amazing florals and raised garden boxes is an outdoor paradise. If this is something you would like To see in Nevada County please call me….KATHY PAPOLA – NETWORK REAL ESTATE 530-271-3815. It is so important for you when searching for a home In our wonderful Nevada County, perhaps you have a custom ranchette in mind, or perhaps something a little smaller than your current home. 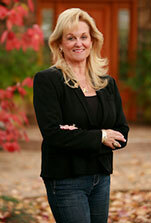 There are many home available in Nevada Country and I, KATHY PAPOLA will help you find that special home. LOCATION LOCATION LOCATION!!!! Nevada has many country homes of your dreams, sometimes it takes a number of times out to see what is out there and finding what feels good for you! Looking for a one story or perhaps a two story home or maybe you need a specific number of bedrooms, all of these help an AGENT know a little bit more In order to lead you in the right Direction. Spectacular Residence The Best Location, End of Road private with gated entrance, or perhaps romance views, or perhaps one with 2 or 3 fireplaces. Another factor could be guest house or media/studio, or a property that has access to a Trail for walking or perhaps they want to hear a creek and sound of falling water, again THAT PERSONS SHOULD BE KATHY PAPOLA OF NETWORK REAL ESTATE. 530-271-3815. Other areas to look at if Recreation is a factor…Lake Wildwood, Englebright Lake, Yuba River & Bridgeport covered Bridge are wonderful area to check out….Notable residents were Chuck Yeager, retired General in the United States Air Force and first man to break the sound barrier. Perhaps you are interested in Gold Country…Bumping up against The western side of the Sierra Nevada Range, on California’s eastern side, the Sierra foothills that make up the Gold Country are California Classics. Discovery of gold in 1848 sparked the largest mass migration in U.S. history, with more than 300,000 pioneers heading west. Along with the historic Nevada Country there is an agent like KATHY PAPOLA WHO WILL BE RIGHT THERE TO HELP YOU FIND THE HOME OF YOUR DREAMS.